New year, new challenges – singing lessons and gigs! The year has whizzed by yet again, and here we are nearly at 2015! So let me now be the last to say – Merry Christmas 2014! Sorry I’m late ha ha! 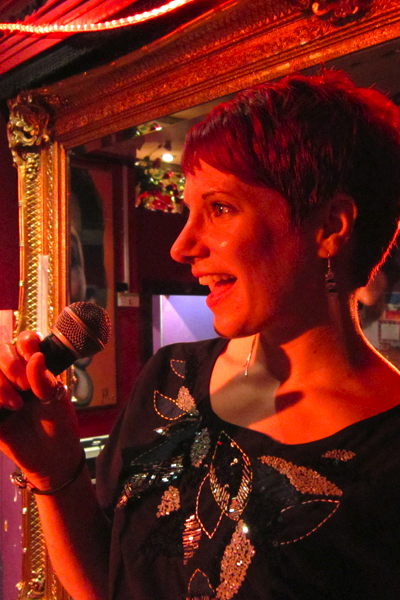 This year I am going to be singing in more restaurants and bars, covering a set of popular and musical classics, with some of my favourite jazz and soul thrown in. I am working with a fantastic keyboard and guitar player…so watch this space! If you have a London based restaurant where you’re looking for some gorgeous live music…I look forward to hearing from you soon! If you have always wanted to learn to sing or improve your vocal performance, now is your chance. Lessons with me are fun and informative, and we will always go at your own pace whilst giving you the right amount of challenges along the way. Contact me for singing lessons in 2015. I want to learn to sing! A lot of people I meet seem to have an ‘X-Factor’ notion that they can be plucked from obscurity and made famous, without any leg work to get there…whilst this can happen, for most people even getting through that audition stage is going to require some hard work and practise – and usually singing lessons. So I would always recommend seeing a Singing Teacher to get your vocals healthy and up to scratch – good vocal lessons should start to get you listening to yourself in a different way – and trusting your voice and the way it feels when you get it right! Contact me for vocal lessons in the North West London, or Harrow area. The Cover Up at the Mazenod tonight! Gerry Blair and Lisa Lee are back as the The Cover Up duo, and looking forward to our gig tonight at the Mazenod Social Club in Kilburn. We have been learning some new songs, got new outfits and even some dance moves. Ok so maybe not the last bit. But it’s gonna be a good one!